Patent holder VoIP-Pal on Tuesday announced that it has formally served Apple in an infringement lawsuit, claiming over $2.8 billion in damages from concepts used in services like Wi-Fi Calling and iMessage. The lawsuit was originally launched on Feb. 9, but VoIP-Pal said it waited until May as it was trying —and is still trying —to reach a settlement through talks. The company is also pursuing actions against AT&T and Verizon, in total seeking some $7 billion if it can't negotiate out of court. The tally against Apple was calculated assuming a 1.25 percent royalty rate based on iPhone, iPad, and Mac profits. The company is specifically accused of exploiting patents related to VoIP-Pal's "caller attribute classification and routing product design." 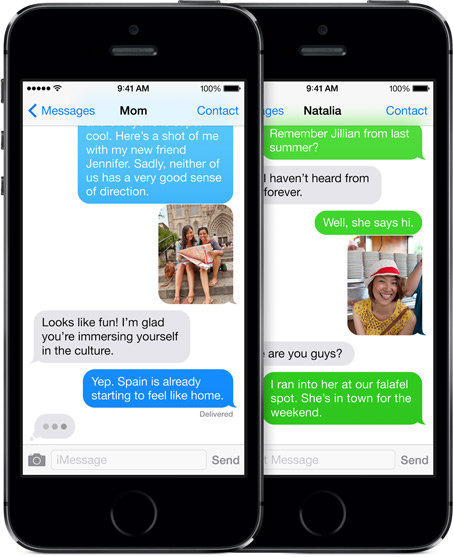 In the case of iMessage, for instance, this involves the automatic switching system that will direct messages through Apple networks if both people are on Apple devices, or SMS if one person is not. That system has previously proven controversial, and was in fact the subject of a failed lawsuit over problems switching from an iPhone to Android. iMessage links a person's Apple ID with their phone number, and people who switch away from iPhones can find that texts from iPhone-owning friends will go missing. Although that case ended up dismissed, Apple was long barraged by public complaints about the underlying problem, and ultimately had to create Web tool to let people delink their phone numbers. VoIP-Pal's case is likely to be settled out of court, presumably through patent licenses or a special agreement. Most such patent disputes don't go to trial, given the expenses involved and the potential penalties for losing.